Raise earthworms for reforestation and land reclamation. We've discussed worm farm markets points 1-6, now on to 7-8. One of your biggest, easiest-to-service, and most lucrative market for your worm farm is stocking new worm farmers like yourself with breeding stock worms. Established worm farmers also need re-stocking from time to time. These breeding stock sales are for "bed-run" worms: i.e. small, immature worms mixed with larger breeding worms. Also included in the mix are any egg capsules that happen to be in the bedding. Why "bed-run" worms for breeding stock orders? Smaller, younger worms are more adaptable to new environments than mature worms. There are more worms per pound. The worm farmer can build his worm inventory faster as these breeding stock worms mature and start laying eggs. Setting up new growers to supply YOU when the demand exceeds your worm supply. Processing breeding stock and bed-run worm sales is usually simpler and easier than typical worm orders. Usually, bed-run orders are filled by scooping out a shovel full of worm bedding from your growing beds, after you have turned it to evenly distribute the worms. Weight this scoop of bedding containing large worms, medium worms, small worms, tiny hatch-ling worms, and egg capsules in various stages of development. Be fair and sell from beds that are full, not from depleted beds. You can sell bed-run orders for the same amount as your bait-sized worms, or you can give a discount. Generally discount any of your worm orders that are for larger bulk poundage. One caveat: Don't start selling breeding stock and bed-run worms until you have several worm beds and plenty of stock to fill your orders. Initially, you want to have as many worms as possible breeding and maturing. Wait on this aspect of the worm farm market until you have a fully established worm farm business. Start your worm farm today. Get how-to's and troubleshooting tips in my Worm Farm Manual: A Step-By-Step Guide To Raising Earthworms. We've discussed worm farm markets 1-4, now on to 5. No doubt, every agricultural expert out there agrees the importance of the lowly earthworm to soil building is incalculable. From the antiquities and up until now, the earthworm's place of importance in the Eco system has been revered. The Greek philosopher Aristotle described the worm as "the intestines of the earth" and even Charles Darwin studied the earthworm extensively. But, as I state earlier, the organic methods of old were discarded and cheaper and easier to apply chemical fertilizers replaced organic fertilizers. While bad farming practices and poor soil stewardship through out the past few decades has depleted the top soil and destroyed countless millions of earthworms, there is now a new awareness dawning. And probably just in time to save the planet. Many farmers are returning to organic farming practices and not just because of the "green awakening". The market for organic products has exploded in recent years and there is declining yields using the "slash and burn" soil depleting methods of big- Agri, Profit incentive is a major force behind "going organic". Whether your local growers are returning to organic farming and gardening because of concern for the environment or because of the bottom line, your worm farm can profit from the enormous market for your vermicompost and castings. If you live in an area of farming, hay fields, groves, or orchards, visit as many as you need to establish accounts for your soon-to-be tons of vermicompost and castings. The introduction of earthworms and worm egg capsules around trees when replanting has produced excellent results and speeds the land recovery. If you live in an area with large timber tracts harvest or lumber, contact the companies or government agencies that reforest them. 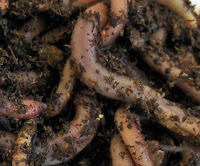 You may find a huge market for you worms as well as your vermicompost. Land that has been strip mined and subjected to other top-soil destroying practices need reclaiming. Top soil can take decades to replace, leaving the land barren and sterile. Introduction of earthworms and applications of protective organic matter, such as sewage sludge, decreases this recovery time enormously. Are you getting a sense of the vast market for your earthworms and vermicompost/castings? Hey, World. Here's an idea - instead of wasting Zillions of dollars on burning, dumping and otherwise wasting organic waste, feed it to earthworms instead. You'd save money and you'd create a rich, organic fertilizer (castings) to boot. Doesn't that make more cents..err..sense? I mean, really. Spending money on one hand to haul away and destroy the mountains of organic material produced yearly, while on the other hand spending money to convert precious and ever-vanishing oil into fertilizer...it's crazy. An earthworm eats and excretes it's weight in organic material each day? This excretion, called castings, is richer in nitrogen, phosphate, calcium, and magnesium than the richest topsoil? This rich fertilizer is water soluble - meaning it's immediately available to the plant without any danger of burning whatsoever? What does this all mean to you, an earthworm farmer? Use this organic conversion capability of earthworms to grow your business. The value of worm castings as a fertilizer is becoming widely known and accepted, creating an ever growing market and demand for vermi-compost and worm castings fertilizer. Some worm farmers are growing worms just for the castings. So long as the world is producing mountains of organic waste, there's plenty of worm food for your worms to convert into valuable fertilizer to sell. Oh yeah, and you'll have plenty of worms to take to market as well. Find out more about worm farming for fertilizer in my Worm Farm Manual. I'm often ask "How long will it take for me to have enough worms to start selling?" The following facts about earthworm reproduction tells you a lot about the time it takes to start making a profit with your worm farm. Earthworms reach breeding maturity in 60-90 days. These mature worms produce and egg capsule every 7-10 days. Each egg capsule contains 2-20 eggs, with an average of 4. If food moisture and temperature conditions are optimum, we can calculate the conservative possibility for one mature breeder earthworm producing 1,200 to 1,500 offspring in the span of one year. Astoundingly, it is possible for 2,000 mature breeding earthworms to produce more than one million earthworms in a year and one billion earthworms in 2 years. Consider this scenario: Take those one million earthworms to bait size (250-300 worms per pound), they would make around 3333-4000 pounds of worms. If these worms are European nightcrawlers (the very best bait worm), you could market them at retail for around $25.00 per pound. That would make $80,000 - $100,000 worth of worms from 2000 breeder worms. Of course, you wouldn't want to sell off all your worms and you would encounter some losses along the way. But you can see the possibilities from the amazing reproduction capabilities of the lowly earthworm. When planning your future sales, take these things into consideration: The longer you wait before starting to sell off your worms, the larger your breeding stock, the more worm production down the line. Don't sell off too many worms at any one time, thereby depleting your worm population to the point limiting future worm production. 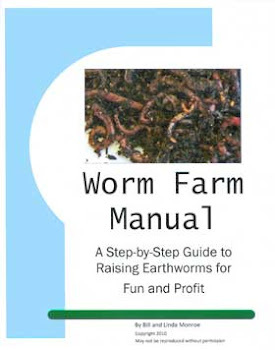 Find out more about worm farm planning in my Worm Farm Manual. It's time to post some recent questions or problems I've been contacted about. One of my customers in South Carolina called the other day. His worms were crawling out and he'd lost most of the worms. After quizzing him, I determined that his worms were crawling because his bedding had "heated up". Read on to learn the reasons why worm bedding heats up and how to avoid it. Heat will kill your worms, whether it's from the weather or from the bedding becoming "hot". Bedding heats up from excess microbial activity occurring in "fresh" organic content or grain. Think of a compost heap. It needs to "heat up" in order for the organic materials to break down and make rich compost for your garden. To do this, you layer the pile with green and brown materials. Fresh horse manure or fresh grass clippings are your green materials and straw or dead leaves serve as the brown materials. Not enough green and too much brown and your pile will not heat up. Reverse the situation with your worm bedding. If you use horse manure, cow manure, or grass clippings that have not "aged" enough, your bed will heat up once you add moisture to it. The only way to ensure your worm bedding materials have "aged" sufficiently (i.e., the microbial activity has reached it's peak and died down) is to pile up the bedding, moisten it and wait. It's simple: If the bedding is not aged enough, it will heat up; if it's aged, it won't. Always wait before adding your worms to freshly mixed bedding to avoid cooking your worms or finding them all over your floor, dead and dying. Find out more about worm farming in my Worm Farm Manual. Would you like to know how to take your mature-but-still-small worms up to big- fat- juicy bait sized worms quickly? Use the following instruction and get your worms fat SAFELY. I stress SAFELY here, because sometimes beginners try to force worms to fatten by overfeeding large amounts of grain. This over feeding does not work. In fact, it’s a sure fire way to create problems. Overfeeding of grain leads to “acid-poisoning” - a real worm killer. The following method only increases the girth of your worms. Nothing will increase the length or worms except time and one other method, which we will discuss later. Provide the following worm “feeder lot”, if you will, and get the fattest worms possible, faster. Build, borrow or steal new beds that are no more than 6 inches deep. The number of beds and the size of your beds will be determined by the number of mature worms you want to fatten. Fill these worm beds with prepared peat moss. Moisten this bedding much wetter than your growing beds and keep it moist throughout the fattening period. Stock your new worm fattening beds at a rate of no more than 400 worms per square foot. Dampen the top of the worm bed. Apply worm feed over the entire surface of the worm bedding, dampened again. The next day, remove any uneaten feed and repeat (add less if feed is left over, more if it’s all gone). After a day or two, you can feed twice a day. Turn this bedding every 5 days. Your worms should double in size in a week to ten days. You can then harvest the worms and sell them or, if additional weight is desired, you can put them back into fresh bedding and repeat. Transferring worms more than twice will not yield much more growth. Never leave the worms in 100% peat moss bedding for more than 14 days without changing out into fresh bedding. Never turn the grain into the bedding. Remove any uneaten grain first. Never feed more grain than the worms can eat in a 24 hour period. 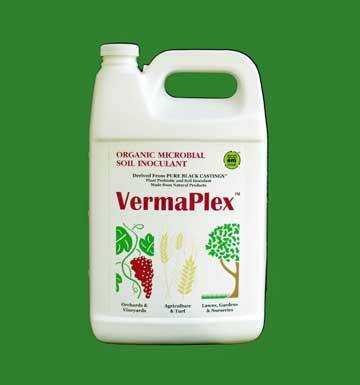 Add VermaPlex® to the spray bottle you mist your worm beds with and spray your new worm bedding and whenever you add food. The extra microbes facilitates your worm digestion and makes a healthier bed. You will eliminate a whole host of problems that can occur when holding worms in this manner. Since using VermaPlex® in my holding trays as well as growing beds, I’ve gotten the biggest, fattest, healthiest worms ever. So, there you have it. These worm “feeder lots” will give you the fattest bait worms around and make your bait customers drool. 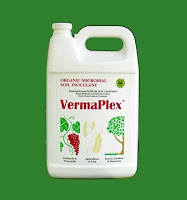 VermPlex® : My secret to healthier worms and healthier worm beds. Mix with water in a sprayer at an 80:1 ratio and mist lightly when feeding or on new bedding. 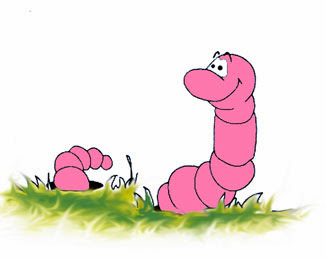 One of the most frequent misunderstandings about worm farming and vermicomposting concerns the use of peat moss as worm bedding Today, the issue has come up twice from two of my customers. So here I'm sharing how I mix up my peat moss worm bedding recipe. What Kind of Peat Moss Is Best? When using peat moss in your worm beds, DO NOT use peat moss that contains additives such as fertilizer. Miracle Grow peat moss has fertilizer added to it and cannot be used for worm bedding. The fertilizer will kill your worms. Look for Canadian Sphagnum Peat Moss for your worm bedding. It is naturally organic and has not had anything added to it that will harm your worms. Dry peat moss, however, has an acid pH, which is not a good thing. To lower the pH towards neutral, dampen the peat moss and let it sit for at least 24-36 hours before adding your worms. Can You Just Use Peat Moss As The Only Worm Bedding Ingredient? Yes, you can use just peat moss. BUT, you must change out the peat moss every 14 days to prevent protein poisoning from occurring in your worms and killing them. That's the reason peat moss by itself is usually used for short term holding and shipping. Dampen all worm bedding ingredients and let it sit for at least 36 hours. Check the worm bedding mixture often to see the moisture content, pH level, and temperature. If items such as horse manure or wood chips aren't properly aged, they may "heat-up" and kill your worms. Make sure the ingredients are well past the "heating-up" stage before introducing your precious worms to it. Always add a few worms to a small amount of the new mix to see how the worms fare. This way, you won't kill off all your worms should the worm bedding contain something harmful that you aren't aware of. And always change out your worm bedding when it becomes too concentrated with worm castings. When and how often is determined how many worms you have and how much worm bedding. The more worms in the bedding, the more often you need to change it. If you have any questions about worm bedding, please post them in the comments. For more worm bedding recipes and worm bedding maintenance tip's and how-to's, check out my "Worm Farm Manual: A Step-by-Step Guide to Raising Earthworms" . 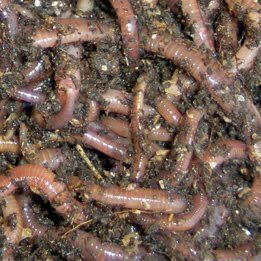 In this comprehensive guide, I share my knowledge of worm bedding, worm feeding, worm harvesting, and worm business in an easy to follow guide. What you don't know can kill your worms and cost you time and money. Available in a download and hardcopy version. Here's a question I get regularly about worm composting bedding or worm farm bedding: "What materials can I use for my worm bedding?" Bedding is one of the most critical aspects of a successfully worm farm as well as the most misunderstood. More worms are killed because of mistakes made with bedding than most any other component in raising earthworms. The correct mix of different worm bedding materials is very important. For instance, one of my new worm farmers called. He was using 100% peat moss as bedding for his worm growing beds. If he had continued using this mix of worm bedding, the result would have been disastrous. Why? Peat moss, when used exclusively, must be changed out every 14 days or a very unhealthy bedding condition will result. This unhealthy condition sickens the worms and they will eventually die or crawl away. After a couple of weeks, peat moss becomes coated and sticky, worms develop protein poisoning and become unable to digest their food. Protein poisoning is the most common reason for worm die-off and must be avoided at all costs. Moisten these bedding materials at least 36 hours ahead of time. Before introducing your worms, check the PH level and moisture content. You've heard the phrase "Don't put all your eggs into one basket." Well, use this same horse sense advice when trying out a new mix of worm bedding. When in doubt about whether your bedding is good for your worms, take a small amount of worms and put into some of the bedding mixture. Check these worms in a few days to see how they are doing. If they look happy and are not crawling, balling up, or crowding into the corners, the worm bedding is good to use. If they are sick or dead, you know what to do. If you see any signs of distress, discard the bedding and try to figure out what is wrong with it. This way, you won't be risking all your worms. It's o.k. to use peat moss for short term "holding" or for shipping. Just remember: don't leave the worms in the bedding for too long and change it out every two weeks. 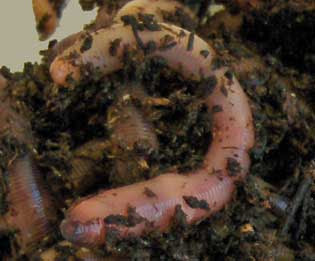 Find details on how to prepare healthy worm bedding in "Worm Farm Manual: A Step-by-Step Guide To Raising Earthworms". There's no doubt that many folks are looking for a way to earn more money. Whether you've lost your job or just want to earn some extra cash for your budget, you may be looking at worm farming as a possible answer to your cash flow problems. Let's examine the top 10 reasons worm farming may be a good business idea for you to try in 2011 from the "vermicompost and worm castings as fertilizer"side of it. If you raise earthworms, you're going to have literally tons of this stuff. No one knows how long this "great recession" is going to last. No one know when the jobs will come back. No one knows when companies will start hiring again.Instead of waiting around for things to get better, why not be proactive and start your own business? If not now, when? You can start a worm farm with very small amount of money as compared to other business. And you can start earning money in a very short time. For this reason and for the ones that follow, worm farming is an ideal business for the times. Let's face it. Oil prices are only going to go up. The rising demand and diminishing supply pretty much guarantee that. And with rising oil prices comes rising fertilizer prices. Farmers and gardeners have been looking for alternatives to chemical fertilizers for a while now so guess what? Worm castings and vermicompost have gained tremendous interest in recent years as the fertilizer of choice. 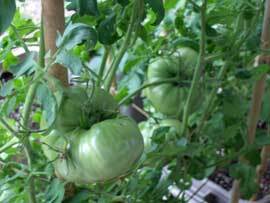 The benefits have been know for some time and these organic fertilizers were once widely used. But now that necessity is forcing growers "back to the future" so to speak, the market for worm castings is seeing a tremendous resurgence. Since the market and interest for worm castings and vermicompost is growing by leaps and bounds, finding buyers for your worm created fertilizer is almost assured. That's a very good reason to consider the worm farming business. Environmentalism has become main stream. What was once considered "out there" and "weird" has now been accepted by almost everyone. Going green and considering the environment when making choices permeates through all of society now. Farmers, gardeners, and people just looking to make their grass greener are becoming more aware that there are other choices out there than the standard chemical fertilizers and that these choices are better for the environment. Worm castings actually improve the soil, adding microbes and humate that will leave the soil better off when it is used. This "green movement" has broadened the market in a huge way, insuring you many more customers for your castings and compost that ever before. If ever there was a time to be in a sustainable, organic,"green" business, that time is now. With every news event about a new outbreak of salmonella, e-coli, or tainted food, the level of anxiety most people have about the safety our food supply grows. The rise in home gardening, neighborhood co-ops and the like has increased the demand for organic, safe fertilizers and soil amendments. "Locally grown" is gaining in popularity. You can probably find buyers for all your vermicompost and worm castings right in your own town. This local market would be easy and economical to service, as shipping heavy compost and castings can be prohibitive. You could deliver and have pick-up for your vermicompost and pocket the cash. 5. It's a perfect home based business. If you are limited in space, you can start small and expand and your business grows and you gain in knowledge. If you have a basement, garage, or backyard, you can find enough space to put in your beds and harvesting tables. In our "Worm Farming Manuel", you'll find plans and descriptions of "worm condos" and other bed options that even the most tiny of abodes can accommodate. 6. You can start small and grow. Start with one bed or two. You will begin making money in a very short time and can put the earnings toward building more beds and buying more "breeding stock". This slow, steady build up is probably the best strategy for beginners, as you can learn and figure things out without risking money or time while your are in the learning process. 7. It's the perfect "family" business. The Worm Farming Business can involve the whole family. Children are usually fascinated by the earthworms and the spouse can participate with the bookkeeping, marketing or the actual daily care and feeding. What better way to bring the family together than with a common purpose and home-based business. It's fun, rewarding, and profitable. 8. You can do it yourself. Conversely, if your a single Mom, divorced or just leaving home to be on your own, the worm farm business is one that you can do all by yourself. You can always hire temporary help once your business grows, but in the beginning, it's possible go it alone. The start up costs are tiny as compared to other possible home based business. It's a low-tech operation that doesn't require lots of equipment or space. And the best part about the worm farming business - it's a truly "sustainable" business. The worms will replace themselves if you manage your population correctly and their castings are your "free" fertilizer. Once your initial investment of starter worms is made, you probably won't ever have to buy another worm. Bedding and feed can be often be found for free and the materials for beds can be salvaged. Energy consumption is low and "office space" (your kitchen table) can be very cheap. 10. Doesn't require advanced degrees or high education. You won't be spending years in the classroom getting a degree before you can start earning very good wages in the worm farming business. Basic education and a good dose of common sense are the only requirements to be able to handle the day to day operations of your worm farm business. Not to say that experience in accounting, sales and marketing won't be of added value and will contribute to your success, but the necessary skills and know-how to run a successfully worm farming business is possessed by almost everyone. As for higher education, you won't learn how to be a worm farmer in any university or school that I know of. Most of your knowledge will be gained by quizzing worm farmers that you know (if they're willing to part with their closely held secrets) and a few dated books out there. The secrets and methods for worm farming that can speed up your business and save you time and money aren't common knowledge. If you had access to this specialized knowledge, time would be shortened before making a profit and the expense of "learning the hard" way by trial and error would be eliminated. If you know of a worm farmer nearby or one that you can call, I suggest you contact them and see if they are willing to answer some questions and give you advice. It doesn't hurt to ask. I can tell you by personal experience, however, you may find that most worm farmers hold their hard earned knowledge close to the vest. That's why I've assembled my step by step guide for worm farming, to give the novice worm farmer the necessary know-how needed to get started. My "Worm Farm Manuel" gives you a good road map to follow and explains how to set up your worm farm, worm beds, and how to market your products. It contains the knowledge and secrets to worm farming that only comes from years of operating a successful worm farm. Rather than learning the hard way, or wasting time trying to figure out the best way to go, our manual answers most of your questions and helps you get off on the right foot in your new worm farming business. Taking all the questions we've been asked through the years and laying out the business in a chronological and logical order - from start up to making your first sale to increasing your inventory - I feel this manual will eliminate most of the fits and starts for you that we encountered when we first began our worm farm business. So, what are you waiting for? If you're looking for a way to earn extra money or a good home-based business with low start up costs and a market that's taking off like a rocket, the worm farming business just might be your ticket. Red Worms and European Nightcrawlers.